Law at the End of the Day: Sara Seck on "The Canadian Country Visit of the United Nations Working Group on Business and Human Rights, and US President Trump’s Withdrawal from the Paris Agreement"
Sara Seck on "The Canadian Country Visit of the United Nations Working Group on Business and Human Rights, and US President Trump’s Withdrawal from the Paris Agreement"
Sara Seck is on the faculty at Dalhousie University's Schulich Law School starting July 1, 2017. 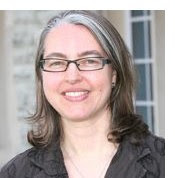 Before then she served as Associate Professor at the University of Western Ontario. Professor Seck's research interests include corporate social responsibility, international environmental, human rights, and sustainable development law, climate change, and indigenous law. She is particularly interested in international and transnational legal theory, notably the relationship between Third World Approaches to International Law (TWAIL) and international legal process theories that are informed by constructivist understandings of international relations. Professor Seck has contributed several important essays to this blog site (see here, here, here, and here). Statement at the end of the visit to Canada of the Working Group here). The visit also coincided with the announcement by the U.S. President of the intention to withdraw the United States from the Paris Agreement (2015) that builds on the Framework Convention on Climate Change (information here). Both events are deeply intertwined. Professor Seck kindly agreed to share her thoughts on both. Her essay, The Canadian Country Visit of the United Nations Working Group on Business and Human Rights, and US President Trump’s Withdrawal from the Paris Agreement: Trains passing in the night? Reflections on the events of June 1, 2017, provides important and valuable insight into the events and is well worth reading. It follows below. .